and so, in the joy of your house, delight one day in eternal rewards. The primary purpose of the Church in instituting and promoting this feast is to present the Holy Family as the model and exemplar of all Christian families. The Jesus, Mary and Joseph, as the Holy Family, are the patrons of this parish. 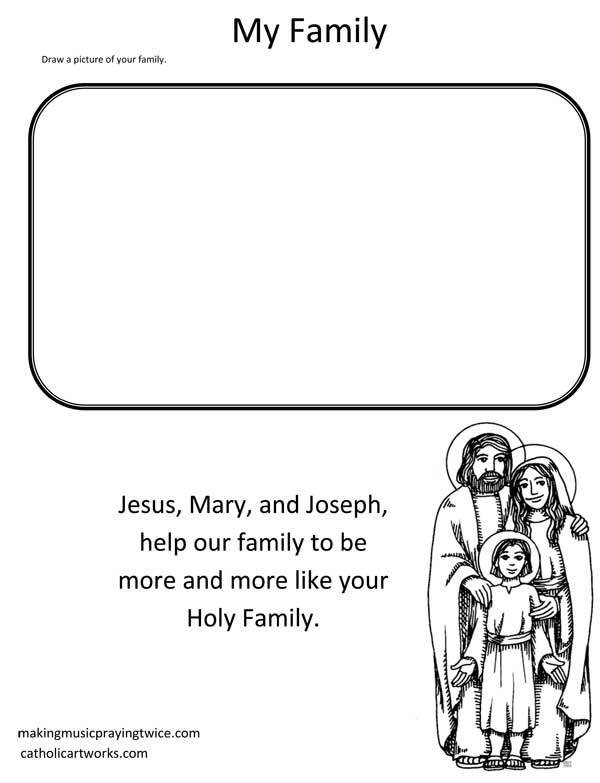 Our parish name was chosen to reflect the Holy Family and to stress our community as a family that would pray and work together. As the opening prayer above reminds us, there is no better example for family life than what we receive from them. Often, though, we maintain only a sanitized image and perhaps, an overly pietized image of the Holy Family. Joseph struggled in poverty to provide for his family even as he worked to trust in the Lord. Mary changed diapers and went about the routine of caring for her Son and for her husband. Jesus grew in grace and age and wisdom as well as in His awareness of His mission for our salvation. We cannot lose sight of the difficult and challenging reality of the struggle and sacrifice of the Holy Family. We celebrate this feast year the weekend following Christmas at all of our liturgies. Please join us as we celebrate the great joys and struggles we accomplish together because of the love and sacrafice of the Holy Family.